Farm | Our Farm by Earth Flora Inc.
Our story begun in the mountains of Kibuya, Bukidnon seventeen years ago when Nicolo, then a cattle farmer, needed to find ways to utilize tons of organic matter from his cattle. Using various elements from his farm, cow dung, plants, weeds, matter that would have otherwise been thrown away as waste, Nicolo discovered he had the perfect fertilizer! Soon after, cows were grazing in fields filled with vibrant, healthy and beautiful flowers. He was overwhelmed by the ease of growing flowers with organic fertilizer that he then started a floral farm in 1994. In 2003 we launched our online flower company www.myflowerdepot.com.Over the next few years, Nicolo would try various methods for fertilizers, pesticides and fungicides. In time, he realized that although the flowers seemingly responded to conventional chemical fertilizers and pesticides, the quality of the farm soil suffered greatly. The farm soil was dead matter and the flowers that were growing were not as healthy or vibrant. Eventually we realized that for beautiful flowers, living soil was crucial. So we started anew, moving to a new flower farm with healthy, uncultivated, living soil on a property we call Earth Flora, Dahilayan, Bukidnon. It has been four years since we started growing, tilling and harvesting our flowers through sustainable agriculture. We have the help of our farm managers, Toto and Dadang, both natives from Bukidnon. They have imparted to us the wisdom and heritage of their ancestors on natural methods of flower farming. Alongside their wealth of knowledge on natural methods, we have merged technology and science, to implement agricultural techniques that build our soil fertility, while protecting our air, water and wildlife. We have merged and developed a deeply rooted natural system of crop production, integrated pest management, and weed and fungal control. We have also learned through biodynamic farming, to see the farm as an entire ecosystem, following natural cycles and the phases of the moon in scheduling our sowing, harvesting, pest management and control. We also use biodynamic preparations, follow crop rotation, and practice cover cropping. Aside from sustainable agriculture, our farm encourages careful water use, energy saving initiatives, bamboo greenhouse infrastructure, greenhouse gas emission reduction efforts, waste management and product packaging minimization. 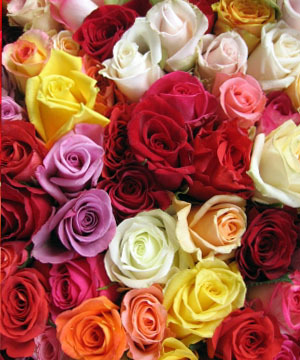 It is 2011 and we promise to continually provide you with vibrant, healthy, beautiful flowers that are sustainably grown. Your flowers are the result of the dedication and diligence of a handful of farmers in Bukidnon, a number of them natives. All our flowers are grown, harvested and packed by hand. Each Flower Depot bouquet is hand selected, carefully arranged, and shipped fresh from our flower farm with a commitment to protect our environment and also enhance the lives of our workers. By practicing sustainable farming, we hope to build a better and more sustainable future, and lighten our footsteps on the planet. We hope to transform the floral industry to growing and harvesting flowers that safeguards the environment, ecology and the well being of farm workers. At Flower Depot, you will enjoy fresh, vibrant and living flowers at economical prices. We want everyone to support sustainable farming and enjoy the healthy fruits of our harvest.